Adjust angle B using the slider. What happens as angle B changes? When angle B is an acute angle, what kind of angle is angle E? 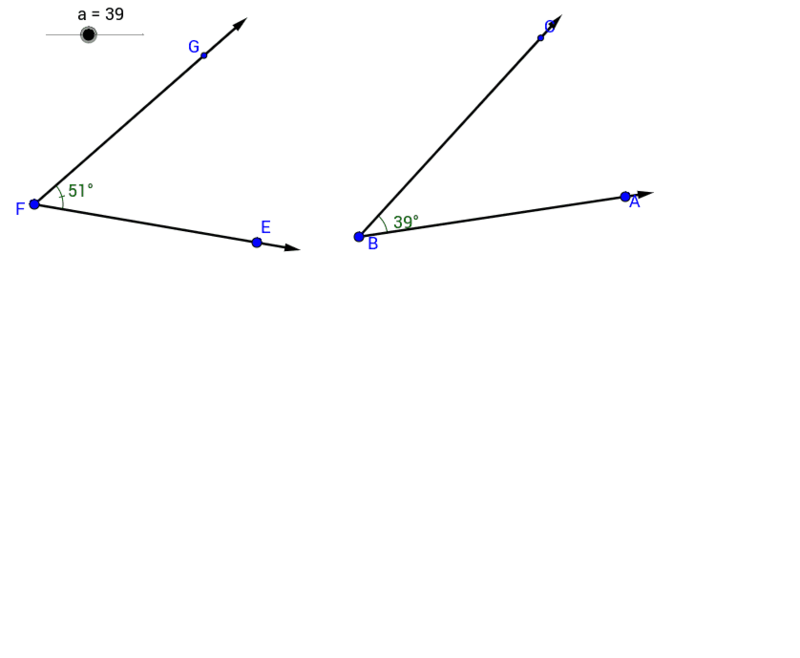 When angle B is a right angle, what kind of angle is angle E?